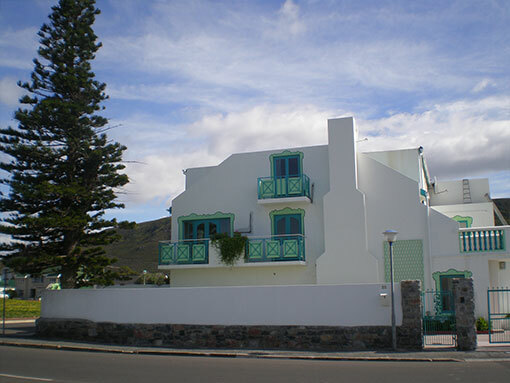 The 5 spacious en suite rooms are well equipped ensuring a relaxing and comfortable stay. Entrance to each suite is semi private from a short passage leading off the guest courtyard. Safe off street parking. Park and walk is the order of the day. 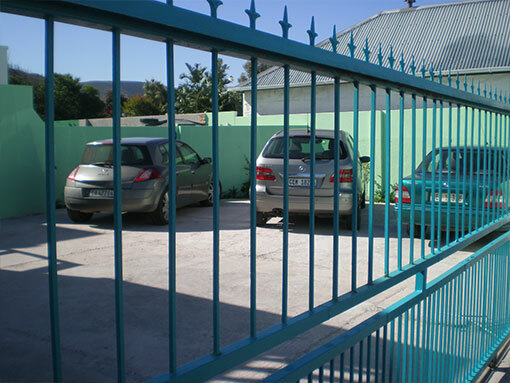 Each unit extends onto a private outdoor garden area to enjoy Hermanus’ champagne air or typical South African barbeque. Should you prefer to mingle with the other guests there is a communal barbeque area adjacent to the swimming pool. The swimming pool is not fenced and is therefore not suitable for young children and non swimmers. It does however offer decadent enjoyment for sun seekers including a shady patio. ( Phase 2 of Norfolk will include a bar and dining area for guests and friends) The swimming pool patio leads to a beautiful garden terrace offering the most amazing views of the mountains and a glimpse of the ocean. 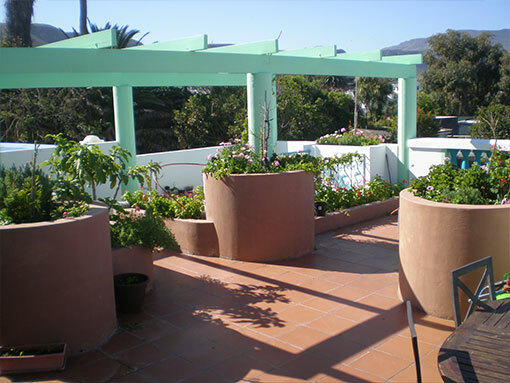 The garden terrace is perfect for a relaxing sundowner but also ideal for all day experience and possible whale viewing using binoculars. Each suite is serviced daily. Please notify management if you would prefer not to use this free service. Towels will be replaced every 3rd day. Please use the drying racks provided to dry towels in the sun. For longer stays sheets will be changed weekly. Norfolk Guest House has a library of books and DVD’s which you are encouraged to enjoy during your stay.